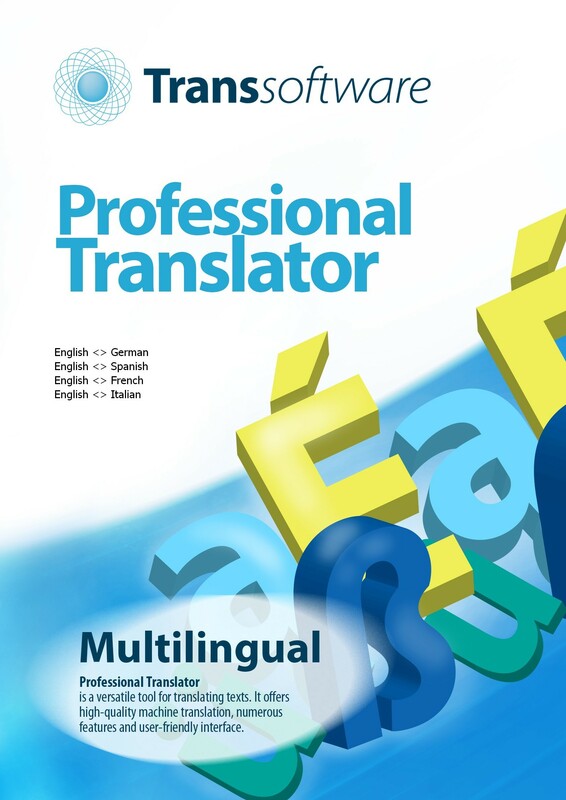 Professional Translator is a versatile tool for translating texts. It offers high-quality machine translation, numerous features and user-friendly interface. Our translator greatly facilitates understanding of foreign-language texts and aids translation to other languages. Thanks to applying the latest achievements in computer linguistics, the translation algorithms take into account not only grammar and syntax rules, but also semantic context of a word: the meaning of a word is analysed with relation to the whole sentence, which allows much more accurate translation. The translation engine performs a very complex grammatical, syntactic and lexical analysis of the entire text. It analyses e.g. polysemantic forms, grammar categories, word order, interword relations, individual words. In addition, a sentence archive enables the user to teach the translator through remembering the translations of whole sentences or phrases and reusing them in subsequent translations. The translation is based on large dictionaries, auxiliary lexicons, transfer rules and syntactical and semantical analysis. The interface is a complete and useful text editor, interoperable with MS Word and other editors. Thanks to its intuitive layout the use of the translator is easy both for professional and beginner users, and gives vast possibilities for users who want to fully utilize the features of the application. retranslation of the selected sentence, matching words or sentences by double-clicking on the source or translated text, displaying source and translated sentences side-by-side and many others.